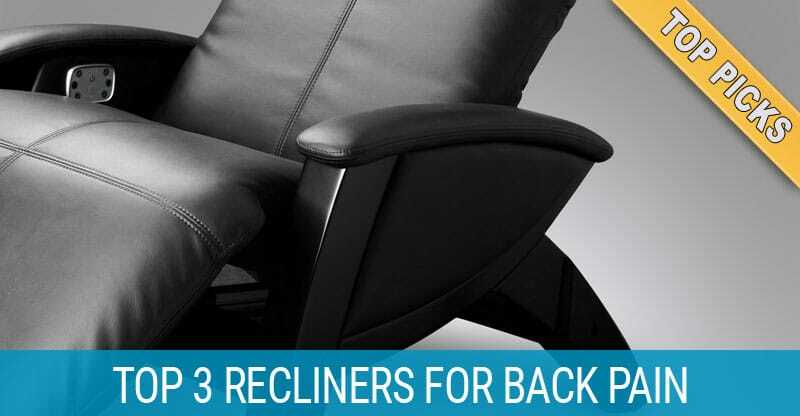 Back pain sufferers have plenty of good options when it comes to office chairs, but if you’re looking for the best recliner for back pain, the search becomes far more difficult. 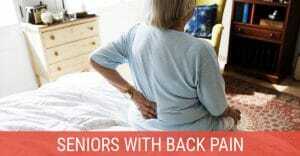 Almost anyone with chronic back pain will tell you that sitting is one of the most uncomfortable positions to be in. While sitting straight may be good for posture, it also puts a lot of pressure on the discs in your lower back. This is why 7 out of 10 primary care doctors agree that having your body in a reclined position is a great way to reduce pain in your neck, upper back, lower back, and legs. This is because your body’s weight is more evenly distributed. 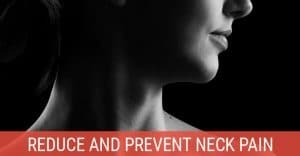 Thinking about having neck, back, or shoulder surgery? Having access to a recliner during the recovery period is HUGE when it comes to minimizing pain and allowing you to get comfortable enough to sleep. Same goes for if you’re pregnant. Other than a body pillow, a good recliner does wonders for a bad back. The problem with most recliners is that that support often takes a back seat to style. 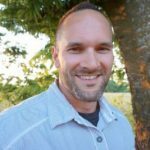 Cushioning that is too hard, soft, or uneven along with a seat that’s too low or back that doesn’t recline far enough are all common traits that typical recliners have. With so many brands and variations of recliners, high prices and a variety of promises that aren’t always fulfilled can be expected at every turn. The following 3 recliners break the mold with ergonomic designs suited for relieving pain, lower costs, higher quality, and unique features that will make a difference. Please note that like mattresses, every person is different, so one option may work better for you personally than another. Cozzia aims to prove that a recliner for bad backs can be sleek and sophisticated with their ZG (zero-gravity) recliner. Featuring a base of solid beechwood and high-grade faux leather upholstery, pushing the one-touch zero-gravity button allows the chair to recline at an angle where your knees are slightly above your heart (the best reclining position for your back). The headrest and footrest are also able to function independently, and the back includes a heat therapy setting with optional massage vibration. Make no mistake, the Cozzia recliner is not cheap but it’s quite a bit less expensive than competitors with comparable features. Even better, users have found the value and customer service to be well above more expensive options. The chair arrives mostly assembled, although the enclosed instructions are a little confusing to many owners. 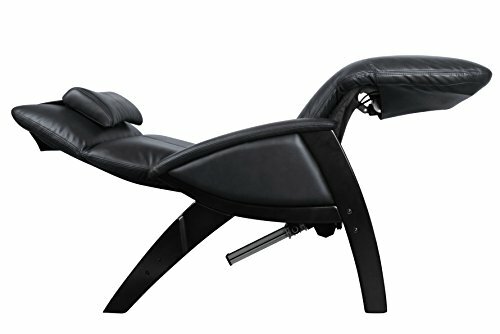 Common praises are that the chair is incredibly comfortable (even for long stretches), is sturdy, and the massage and heat features are excellent. 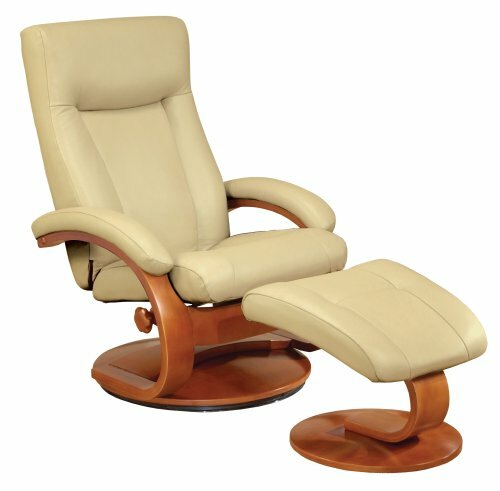 The one-touch recline is very smooth and quiet. First it raises your feet and then reclines back. You can push the button again at any point to stop. To return to an upright position, simply press the button again. Owners have noted that Cozzia offers replacement covers in the event the current cover becomes damaged. Customer service overall is top notch. There are very few complaints regarding this chair, and they all refer to either delivery or assembly. Depending upon the delivery company, you may get top-rate service or a poor delivery experience. Some companies have been reported as delivering the package damaged and occasionally the contents have also suffered damage. It makes sense to order through a company such as Amazon which does a good job of looking out for the customer if a problem arises. When assembling, purchasers have almost universally complained about the instructions, which are not the easiest to follow. There is thankfully very little assembly required, but you may need to examine the directions carefully before being able to understand the diagrams. Mac Motion’s Oslo Collection takes the concept of a lumbar support recliner and makes it suitable for both home and office use. 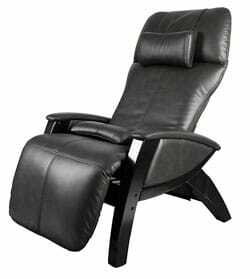 The recliner has a full 360 degree swivel with fully adjustable reclining via one handle. The accompanying ottoman is contoured for improved leg support. Both the recliner and ottoman feature one inch of MX-2 memory foam on top of solid-core foam seating to provide maximum comfort and support, and are covered by Top-Grain leather. Owners have noted that the chair is fairly easy to assemble, and has a sleek design which allows it to fit into numerous settings, from a living room to home theater, and even a home office. The lumbar support is excellent. While it doesn’t offer the same level of zero-gravity reclining as the Cozzia above, the level of comfort and pain relief is very good no matter if you’re petite (the ottoman helps) or on the larger side. The reclining handle is a wooden wheel which allows the chair to be angled to personal tastes, which many users prefer over more traditional handles. Additionally, the chair tends to hold up pretty well over time, giving long-time owners very little problem. Finally, the chair includes everything necessary to assemble it, including tools, which has impressed some customers. One of the biggest complaints is that the frame is not solid wood. This poses little problem until there is a deep scratch or other issue. A few customers have also noted problems with the wooden dowels that cover the screws falling out. Overall, chair is sturdy and not prone to damage. Consumers have also expressed some frustration at the assembly instructions, which are not clearly written. In most cases, these same customers have noted the chair is easy to assemble if you have a little experience in putting furniture together. Like our top pick, both companies would do well by recruiting someone from Ikea to create their instructions. A third complaint is that the back of the recliner cannot be brought fully vertical, making it a little difficult for some users to get out of the chair. Best known for their mattresses, Serta has created a two-motor lift recliner that has a classic design with numerous modern features. Premium gel-infused foam covers an inner support frame designed to provide contoured support for people of most shapes and sizes. The hand-held, ergonomic LED control includes a USB port and is easy to operate. The mechanism itself is whisper-quiet, capable of reclining to exact preference, and is also able to lift the chair forward to make standing easier. 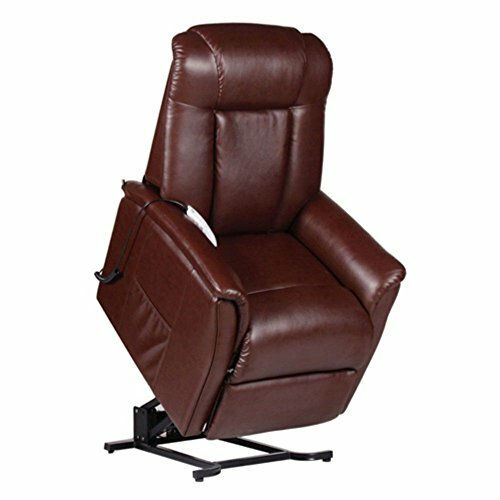 With a no-sag spring base, solid hardwood frame, and faux leather upholstery, this orthopedic recliner is perfect for those with a bad back or who have difficulty getting into or out of chairs. Consumers who have bought the Winston 592 have been very pleased with the lift action, as well as the large, backlit buttons on the controls that make it easier to control the chair if you have vision problems or are in a dark room. Users also enjoy the range of positioning provided by the two motors. While smaller than many similar chairs, owners of various weights and sizes have found it comfortable. 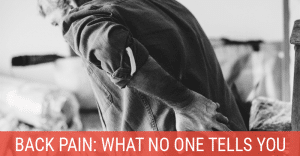 It may not be as stylish as the others, but it’s hard to beat when it comes to comfort, ease of use, and level of pain relief you can experience. The Winston is a prime example of how a chair built for everyone isn’t always ideal for everyone. Owners of the same height have been known to disagree on whether the chair is too high or not high enough. In some cases, one person will find the chair to be highly comfortable while someone else of the same build finds it uncomfortable. It is thus best to keep the packaging until you have tested the chair out. Also, note that assembly works best with two people to help ensure proper alignment, which will affect your enjoyment of this recliner.